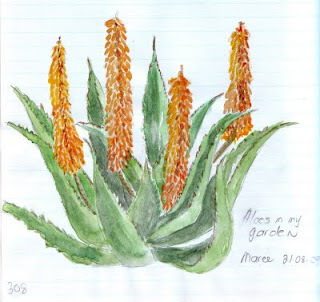 I did this sketch of an Aloe in my garden after I had noticed that the Blackbirds were all visiting this one, and the reason was soon apparent - it was fairly dripping with nectar! 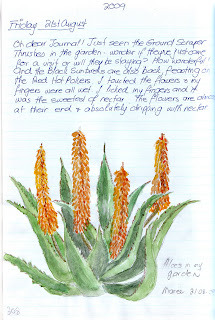 The flowers always seem to produce the most nectar just as they're getting to the end of their life-span. It's their special gift to nature.